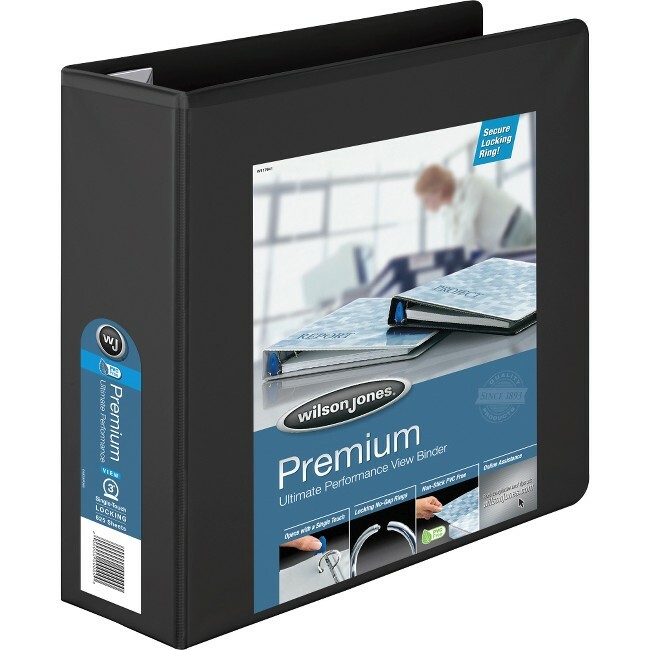 Heavy-duty binder features a locking mechanism that lets you open and close the rings with a single touch, making it easy to add or change contents. Metal round rings are back-mounted to reduce wear and let pages lie flat. Clear, nonglare one-piece overlay on front, spine and back allows easy transformation into a custom binder, perfect for presenting your work. The CleanView, PVC-free material resists ink and toner transfer so printed papers won't stick or mark binders. Binder also features exposed rivets and a sturdy chipboard core. Product Name: 879 Premium Single-Touch Locking Round Ring View Binders, 3"